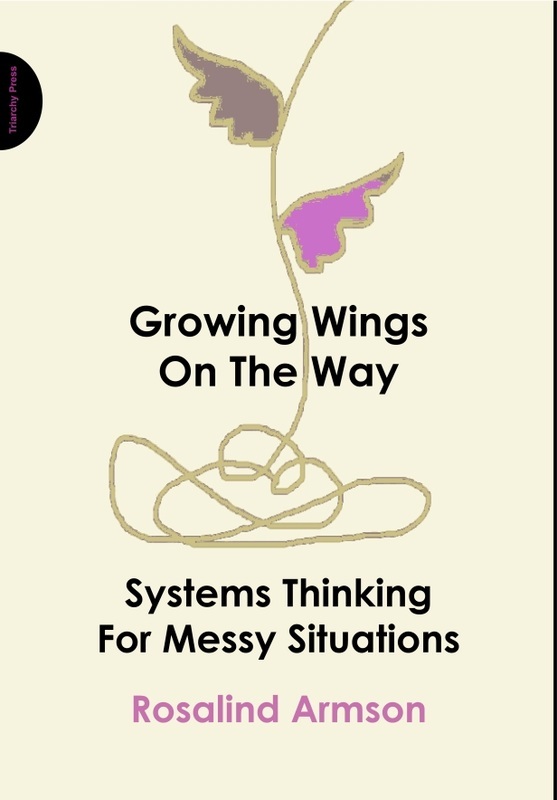 An idea for improving a messy situation, named in terms of a human-activity system, can now be defined as if it were a system. a system to pay off the national debt by means of radical cuts in government spending in order to contribute to restoring prosperity in the economy. Each of these definitions follows the template by specifying What the system does, How it does it and Why it does it, bearing in mind that the system only exists in the conceptual world. It does not describe what exists in the messy situation. It simply defines a system which, if it existed, would be relevant to thinking about the situation. Answering these questions enables the systems thinker to clarify the activity, in terms of its action as a system and its place in a hierarchy of systems. Constructing a system definition is deceptively simple but rigorous and challenging to get right. The challenge is ‘to say precisely what you mean and mean precisely what you say’ by expressing the essential transformation in its clearest form. Noted: plans for reconstructing interior of London Office. In fact ‘noting’ was about all the trustees seemed to do. I wondered whether this was a good use of the time and considerable talents of a group of VIPs from the highest levels of public life. Together we worked through some possible system definitions for what they might do. Like many people, the group at first resisted, believing it was obvious what they did and why. As I pushed them gently, they began to realise the deceptively simple template demanded more clarity than they could summon up. ‘This is really challenging’, someone remarked to me at coffee. It was clear that ‘noting’ was one of the Hows but there were a number of potentially conflicting conceptions of what their task was and why it was important. Nothing was resolved within the hour they had allotted for the discussion but they invited me to their next meeting, nonetheless. In the interim, they must have done some serious thinking and had some good telephone discussions. They presented a system definition for my comment. It was clear, concise and everyone had agreed on it. They had found a more active role for themselves as a source of advice, contacts and ‘insider information’ for the institution’s executive. The most useful system definitions are those that get close to the heart of the issue. An example arises from the aftermath of the multiple bombings of the Underground rail system and buses in London on 7th July 2005 . Fire, police and ambulance crews were operating in a highly uncertain, potentially dangerous situation without adequate communications technology. It later became clear that there was confusion between the services as to each other’s roles. For example, the fire-service officer assumed that the first ambulance would transport victims at the station entrance away from the scene as fast as possible. The ambulance officer believed he was there to assess the situation in order to make best use of other ambulance crews as they arrived. As I thought about how to improve the situation (and about improving the situation when the next major incident occurs), my initial ideas were about clarifying roles or directing emergency services at a major incident. These seemed insufficiently radical to make a big difference. I realised that clarifying roles would not ensure that people had the right roles. Directing emergency services would not ensure they were directed in the right way. I discovered that I preferredmaking the best use of the skills and equipment of emergency services. It was much closer to the heart of the issue. I had an interesting conversation with myself when I noticed how difficult it was to discern a shared and coherent Why for as system that had this as its What. Was there a potential conflict between ‘ … in order to contribute to saving lives’ and ‘ … in order to contribute to treating the injured’? Perhaps the purposes of the emergency services conflicted. A number of system definitions emerged as coherent understandascopes. It does not matter which, if any, could, should or ought to have been in place. I was looking for system definitions capable of stimulating productive conversations between stakeholders. Working with this possible What, any number of possible Hows and possible Whys came to mind. Combinations of these, assembled into system definitions, can be modelled, and used as ‘mediating objects to explore desirability, feasibility and acceptability. Combining these ideas gives rise to 20 distinct system definitions, underlining the importance of saying what you mean and meaning what you say. In casual conversation (and indeed, in many strategic conversations), ideas like this are often conflated and generate misunderstandings. a system to lock up offenders in order to contribute to preventing them engaging in crime. Each of the definitions above contains the same What element of a system definition and a Why element. The Hows associated with each of these definition differ from the probableHows of the other systems. Indeed, one can speculate that the Hows of one system will act against realising the wider purpose of one or more of the other systems. Clearly, a system to lock people up in order to rehabilitate them will have subsystems that conflict with the subsystems of a system to lock people up in order to punish them. Indeed, looked at in this way, it becomes clear that locking up offenders is unlikely to meet any of the intended wider purposes, any one of which, at a minimum, invites consideration of other possible means of delivery. A system definition that includes Why and How, as well as What, raises questions. For example, assigning a purpose in the form of a Why invites consideration of whether the particular What is the best way of contributing to the Why. So, for example, if my purpose is rehabilitating offenders, is locking them up the best way to do it? Often several purposes are invested in a single activity. Many countries’ prison arrangements are messy because they seem to have multiple purposes, meaning none are met well. Working out all the possible purposes invested in a single action will often reveal conflicting Hows. By creating a different definition for each Why, with associated Hows, coherent with the Why, any mismatches between Hows can then be explored. This whole approach is explained and expanded in Chapter 13 of Growing Wings On The Way.